Giveaway for Mrs Pankhurst's Purple Feather | Quarto Knows Blog Enter to win a copy of Mrs Pankhurst's Purple Feather by Tessa Boase on Goodreads.com. Enter our Goodreads giveaway to win a copy of Mrs Pankhurst’s Purple Feather by Tessa Boase. The book is also available of purchase on Amazon.com. Giveaway ends November 04, 2018. Mrs Pankhurst's Purple Feather is a gripping narrative explores two singular heroines – one lionised, the other forgotten – and their rival, overlapping campaigns. 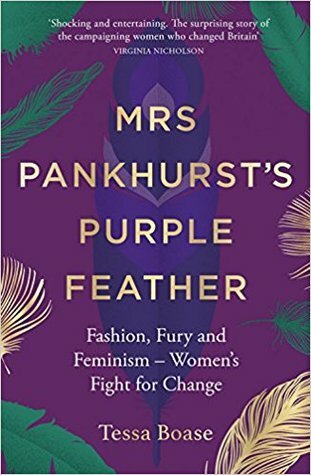 Moving from the feather workers’ slums to the highest courtly circles, from the first female political rally to the first forcible feeding, Mrs Pankhurst’s Purple Feather is a unique journey through a society in transformation.